The first stop is London, where Jah Shaka, Lloyd Coxsone and Fatman are given their due as influential soundsystems of the late 70s and 80s. Sullivan recycles the usual sources here (Lloyd Bradley, that NME Soundsystem Splashdown article that I put on uncarved.org) but has also done some great interviews himself, notably with Mad Professor, deejay U Brown and Dennis Bovell. This method is continued throughout the book, with the author’s interviews generally adding new and thought provoking information rather than retreading old ground. The ‘(post-) punky reggae party’ of groups like Killing Joke, The Pop Group and On-U Sound rounds off this section (and is a good read, but obviously not as detailed as Partridge’s Dub In Babylon). One thing I like about the book is that Sullivan covers things I am fairly knowledgeable about well, which gives me the reassurance that areas I am less conversant with will be worth reading. (Although I do win trainspotter points for noticing that he has confused Mikey Dread of ‘Dread At The Controls’ with the very different Mikey Dread of the London-based Channel One soundsystem). Which brings us to 1970s New York City and the establishment of record labels Clocktower and Wackies, including the surprising overlap with the latter and early hip hop. The influence of Jamaican soundsystem on NYC block parties, and JA toasters on rap has become a truism, but Sullivan interrogates this much more than most – getting down to the nitty gritty of DJ Kool Herc playing reggae as part of his sets and using a Roland space-echo to dub up his MC Coke La Roc. The 90s scenes of raggamuffin hip hop and illbient get a brief mention, before we move on to one of the book’s highlights – disco. 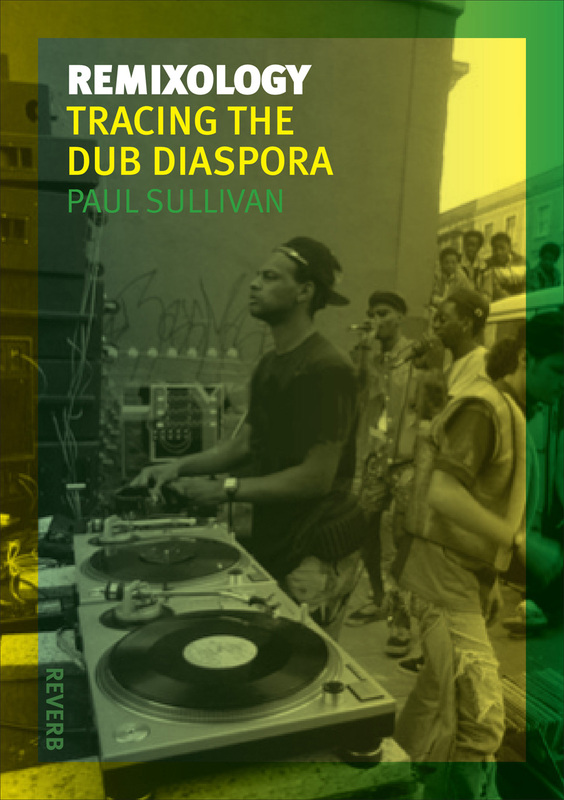 Sullivan starts this section by admitting that there aren’t any overt connections between disco and dub, but then opens up the discussion to look at the inadvertent parallels between the two. Tom Moulton’s use of the studio as an instrument, and crucially his inadvertent invention of the 12” remix both have parallels with reggae (and its use of the 12” discomix of dub seamlessly following vocal at about the same time.) I was also fascinated to find out that Moulton had done some work with Studio One boss Coxsone Dodd in the mid-70s. A look at how dub was taken up as part of the armouries of producers like Walter Gibbons, Larry Levan, Arthur Russell and Francois Kervokian rounds off a great section which inspired me to have a few disco moments in the privacy of my living room. We’re then back in the UK, for a pair of chapters on London and Bristol. The mid-80s ‘fast chat’ MCs of Saxon soundsystem are kind of crow-barred in – they don’t really have much to do with dub in themselves, but they are under-appreciated anyway so what the hell. Soundsystem’s influence on UK hip hop artists like Rodney P and Roots Manuva is also well covered. The all-too-brief excerpts from the author’s interviews with Shut Up And Dance reveal not only that they played tunes by Augustus Pablo in their early DJ sets, but that veteran London soundsystem Jah Tubbys once played at their school. This of course leads us onto (Boooooom! Lighta!) jungle. Sullivan argues skilfully that jungle’s recycling of the amen break is akin to re-versioning of backing tracks in reggae, alongside pointing out the role that physical spaces like dub-cutting houses played in both genres. UK garage and grime are skipped over a bit in favour of dubstep, which is maybe understandable, but if I could be arsed to write a book I’d definitely be trying to draw parallels between Lee Perry and grime artists like Wiley and Trim, as well as covering Jammer like Sullivan does (admirably). Once again, the author is on the money when he notes that dub’s influence on dubstep was often more ideological than musicological. This chapter concludes with the Hyperdub label. In a slightly baffling aside we learn that Kevin Martin (GOD, Techno Animal, The Bug, King Midas Sound and curator of the Macro Dub Infection compilations) ‘allegedly has an impressive CV’, which is either a typo or a very stunted attempt at critical engagement. Bristol’s bass continuum (reggae/The Dug Out/trip hop/jungle/dubstep) runs a similar path to London’s but is arguably even more soaked in dub than the capital city. Mark Stewart and Pinch are both on form here. Berlin is up next, with Basic Channel, Pole, Jahtari and recent arrival Shackleton all taking their rightful places. (There are even some fresh quotes from the elusive Mark Ernestus of Basic Channel). ‘Canada’s Dub Poetry and Dancehall’ wasn’t exactly an enticing chapter heading for me at first glance. Quite why every single book on reggae has to have a chapter on dub poetry has always confused me. Having gritted my teeth and continued, I was rewarded with a nice account of the rhizomatic way that Jamaican music implants itself in different locations. The relatively small ex-pat community in Toronto nurtured its own studios and labels including the excellent Summer Records label. Alongside that, Canada has also spawned a bunch of seemingly derivative dub poets, dub producers and dub techno artists that I find it hard to get excited about. Sorry, Canada. In summary, Remixology: Tracing The Dub Diaspora does a great job of charting the developments and flows of an area of music which is dear to my heart. If a cynical old git like me can enjoy it then it should be essential reading for anyone who has just been infected by the global dub virus. Reading this now, and this review is pretty much spot on. A good refresher course if nothing else.